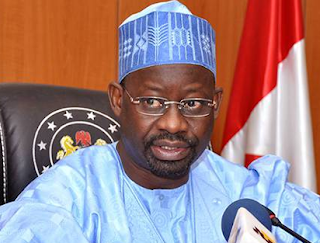 Dankwambo garnered 68 per cent of all votes cast. A total 17,925 Twitter users participated in the poll which lasted about seven hours. The poll, which was conducted by DailyTrust, a national newspaper also featured Atiku Abubakar, Bukola Saraki, and Rabiu Kwankwaso, who had received most votes in various previously conducted polls. The poll asked, “Who is the best candidate for @OfficialPDPNig [PDP]?” Atiku and Saraki, coming second place, had a total of 11 per cent, while Kwankwaso staggered behind with a slightly lower percentage of 10 per cent. Dankwambo, 56 years-old and an accountant, is a two-term governor of Gombe State. 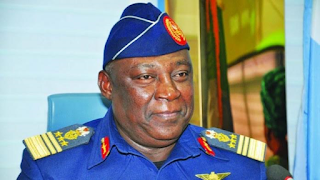 In August, he declared an intention to contest in the 2019 presidential election under the umbrella of the People’s Democratic Party (PDP). This, he said, is to enable him “consolidate on the gains of democracy and save the country from hunger and starvation”. Other presidential contenders in the PDP at the convention now underway in Port Harcourt include Aminu Tambuwwal, Sule Lamido, Kabiru Turaki, Attahiru Bafarawa, Datti Baba-Ahmed, Ahmed Makarfi, Jonah Jang and David Mark.